Our campsite on the White Rim Trail last Fall, Canyonlands National Park, near Moab, Utah. 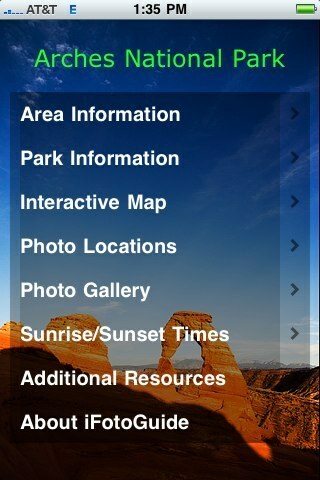 Janine has now updated our sections of Moab Utah photos, including new photos of Canyonlands and Arches National Park. Full moon rising over Arches National Park, near Moab, Utah. As I was working on my favorite images from last year, Janine mentioned this was one of her favorites – she really liked the mood and feel of the photo, so I though I would make it today’s blog. 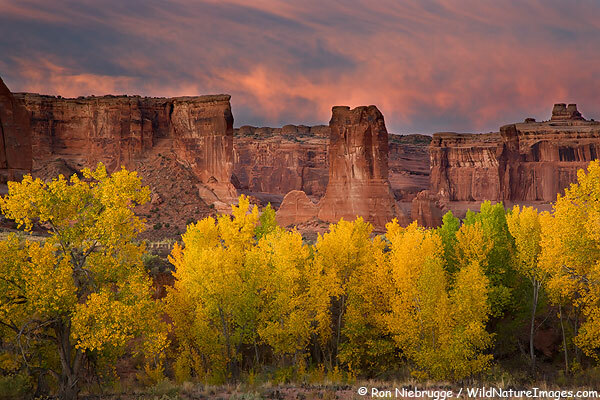 Take a look at more of our Canyonlands National Park photos. When photographing directly into the sun, especially with zoom lenses, it seems like lens flare is almost impossible to avoid. I thought I would share a little trick that I have used for the last few years for eliminating flare. It is important that both images are of the same exposure – I make sure I’m working in manual mode because your camera’s meter is going to come up with two very different exposures for these two scenes. And of course a tripod so that the two images contain identical compositions is imperative. 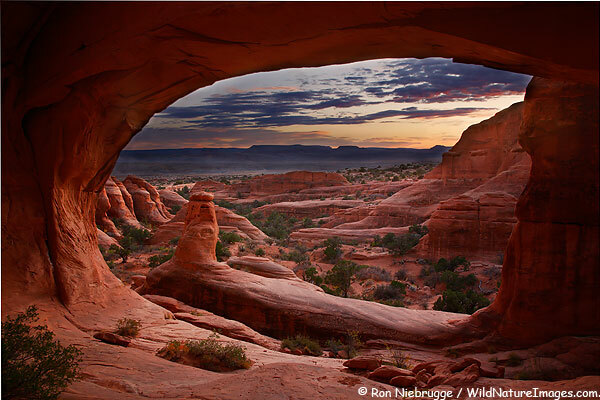 Courthouse Wash, Arches National Park, near Moab, Utah. Over the last week or so we have been very busy converting and adjusting photos from our Fall trip, we hope to be done with this job sometime this week. I will likely share more photos from this trip over the next few days or weeks. It has been a really nice winter in Alaska, and I have been very content to be working at home, cross-country skiing, and enjoying the winter pace. But, as I start the pour over photos from our recent travels, it re-ignites the urge to explore and photograph new regions, and revisit old favorites. 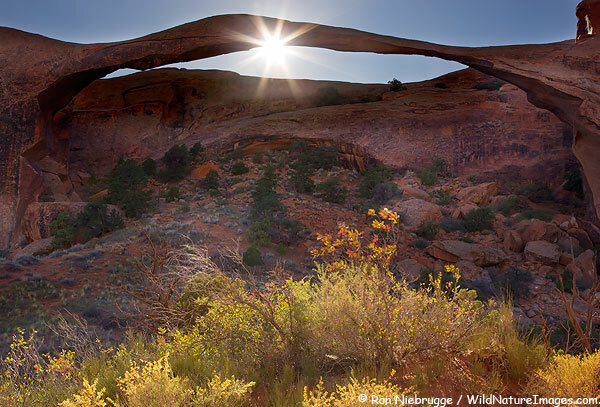 Check out more of our Arches National Park photos. 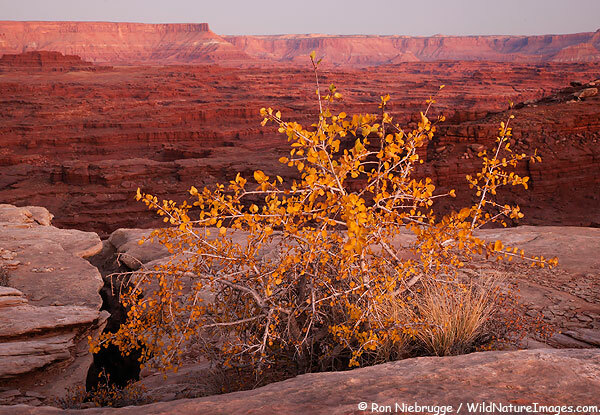 Autumn colors along the White Rim Trail, Canyonlands National Park, near Moab, Utah. I fell a bit behind on my editing / captioning / key-wording on our last trip, so now I’m sitting here in Alaska, looking out the window at fresh falling snow, and looking at my monitor and seeing images of warm red rock – it is kind of fun really! 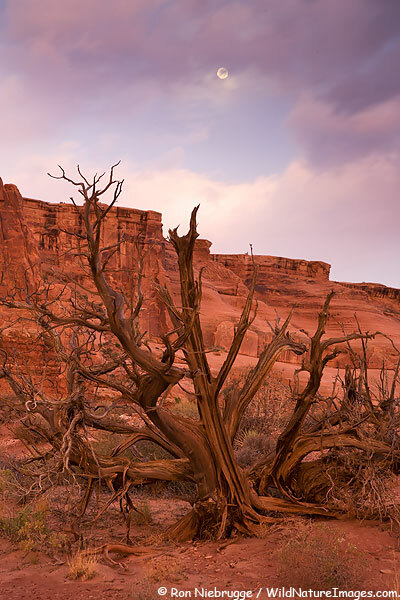 This was from our three day trip along the White Rim Trail from just over a month ago. Tower Arch, Arches National Park, near Moab, Utah. This is a quick and dirty blend of two jpeg images, one for the sunset sky, and one for the rest. Once I’m home, I’ll re-work this, probably using most, if not all five raw files, but this gets me at least 90% of the way to the final image. I gotta say, this was one of the tougher hikes home in the dark. A half an inch of rain had obliterated most the footprints on this lightly traveled trail, and it seemed like the cairns were just out of headlight range – the lack of a moon didn’t help. But, being able to spend a wonderful evening at this beautiful arch, with out another person within miles made it completely worth it for us!